In March 1936, German troops marched into the west side of the Rhine. 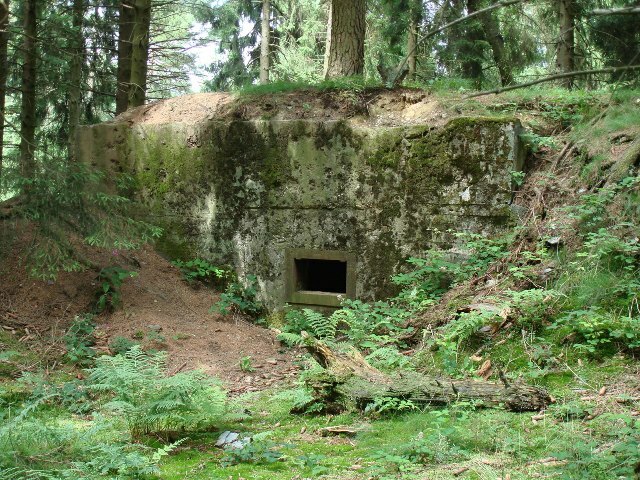 Plans for a defensive line along Germany’s western border as the counter part of the French Maginot Line were drawn up immediately. Circa 1938. 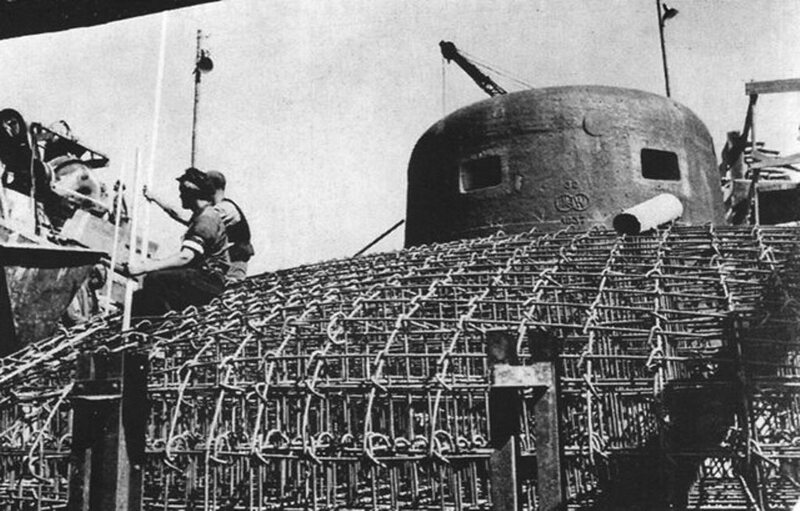 Steel reinforced MG emplacement awaiting concrete filling. 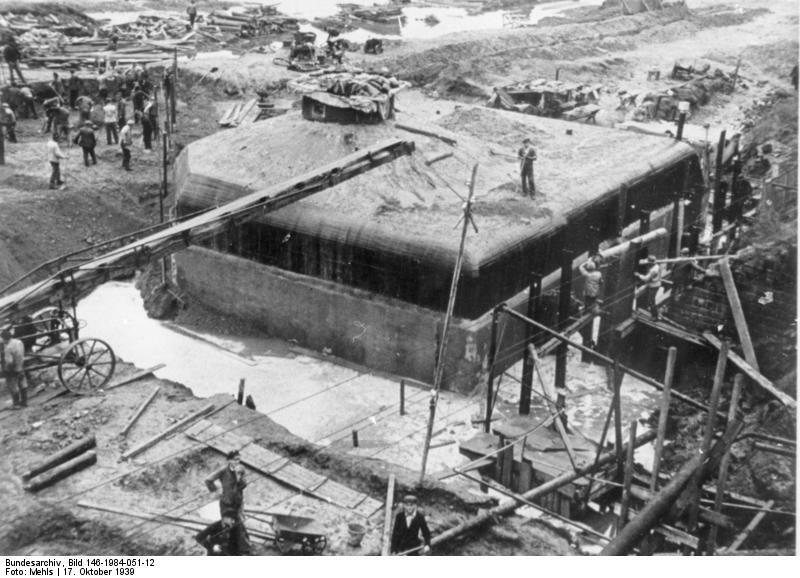 The construction began in May of 1938. 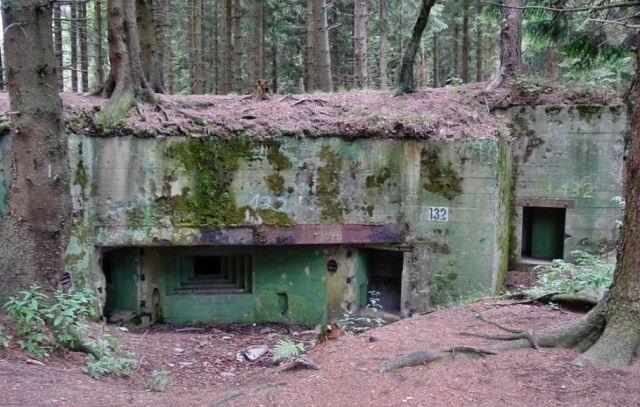 Hitler had ordered that the whole length of the border with France, Belgium and Holland, a distance of 400 miles, should be fortified within 18 months. For this huge task, he entrusted Dr Fritz Todt, whose organization had been involved in the construction of highways throughout Germany. Todt transferred his organisation to the west, recruited local construction firms and thousands of workers. Figures are beyond imagination. 12000 pillboxes were constructed, meaning 15-20 pillboxes every 1000 Yds or 1 pillbox every 50 yards. 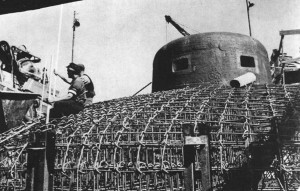 The construction involved 300.000 men, 8.000.000 tons of concrete reinforced with 3200 miles of heavy steel cables, 192.000 steel doors, 1million tons of timber, 700.000 Cu Yd of wood, 19.000 miles of barbed wire, 700 miles of trenches and 150 miles of dragon’s teeth for an estimated total amount of 3.5 billions Marks. 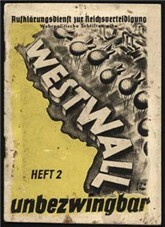 Nazi propaganda booklet touting the West Wall as « unbezwingbar » – invincible. 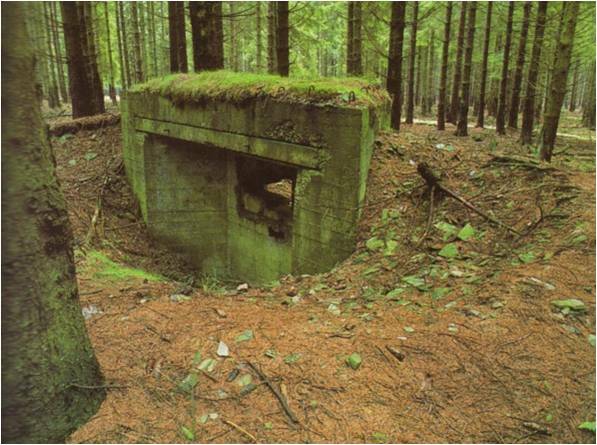 The greater defense was however not in concrete and steel but rather in the propaganda myth that surrounded it. 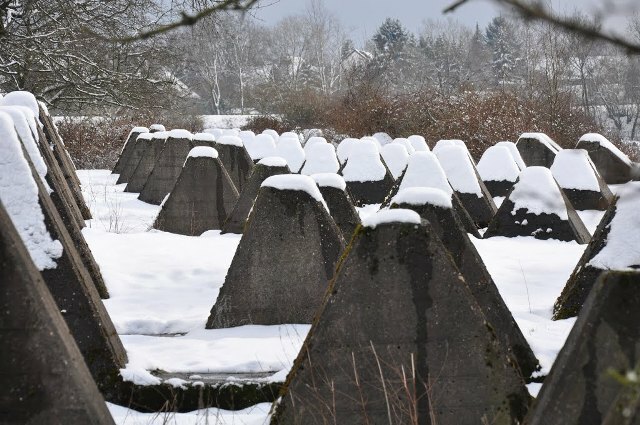 According to the Nazis, the Wall was invincible. 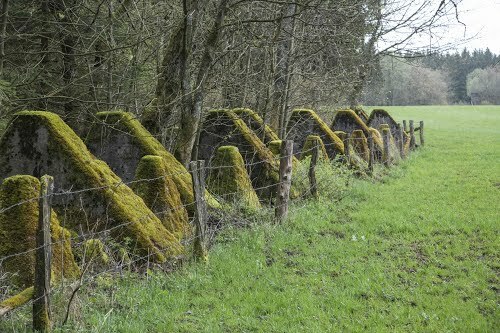 A myth needed a mythic name and the West Wall was soon dubbed ‘the Siegfried Line’ for Siegfried, the dragon killer of the German mythology. 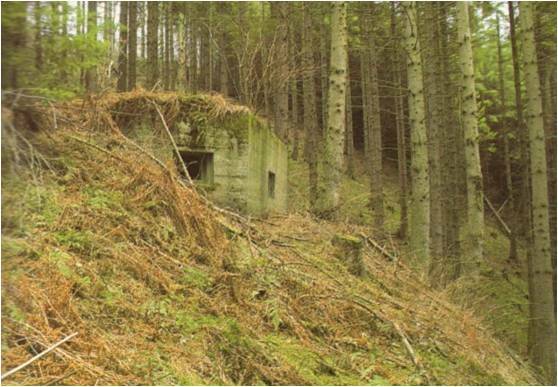 Following the end of the Blitzkrieg in the West in 1940, the ‘Westwall’ had served its function. It was largely disarmed because it was expected that it would never be needed again. However it retained its reputation. 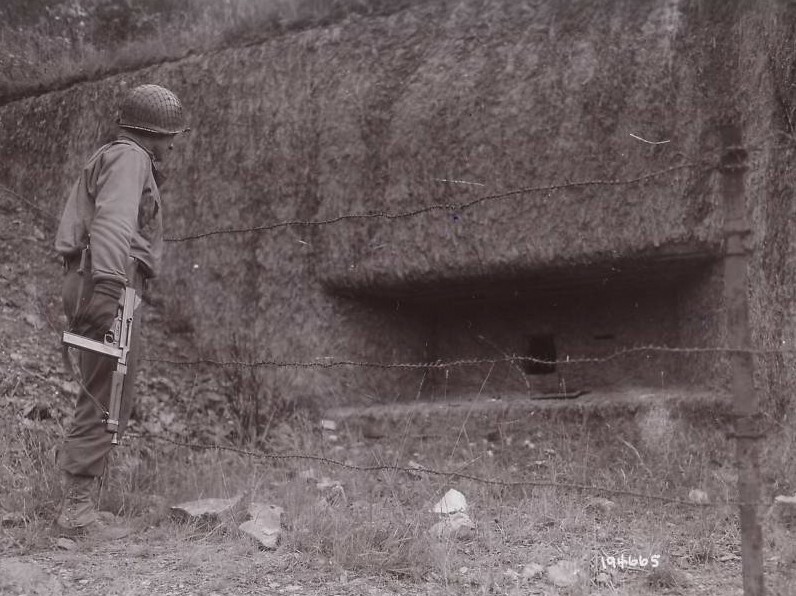 After the successful landing of the Allies in Normandy, the German high command considered defending the West Wall and reinforced it by the building of barriers, anti tank ditches and obstacles. 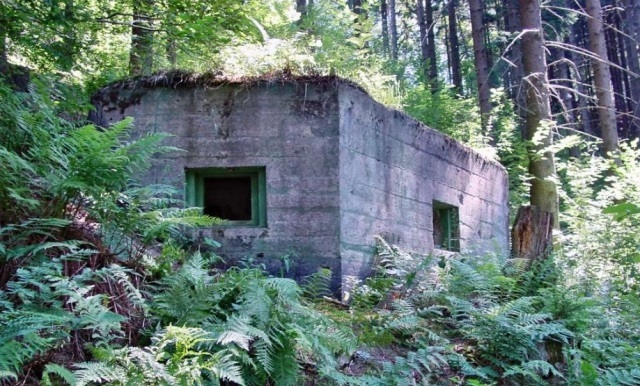 When the Allies reached it, in the second half of 1944, border crossings such as at Aachen, Lammersdorf, in the Hürtgen Forest, at Wahlerscheid or Udenbreth became synonyms of enormous losses in terms of human lives for the US Army. 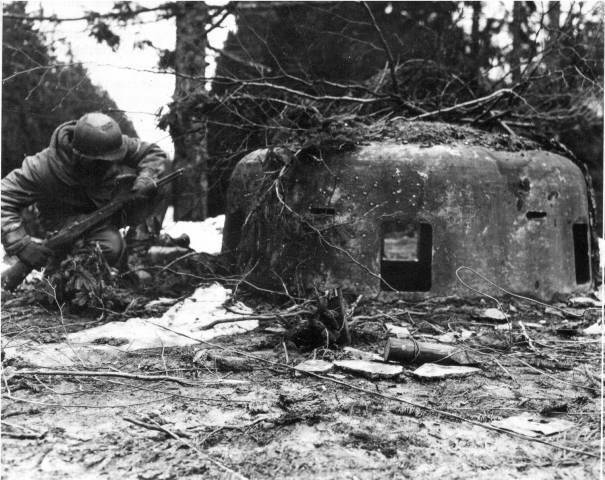 GI inspecting a captured concrete pillbox. The myth of the West Wall finally ended on May 8th, 1945 with the unconditional surrender of Germany. 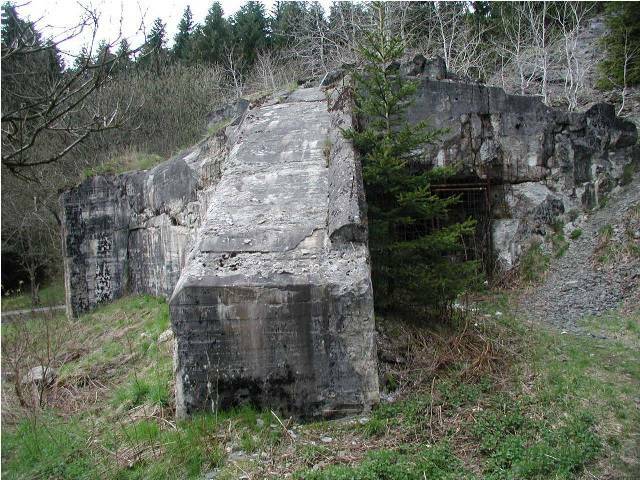 The Allies destroyed all the fortifications, probably to get rid of one of the most famous Nazi construction and the propaganda accompanying it. 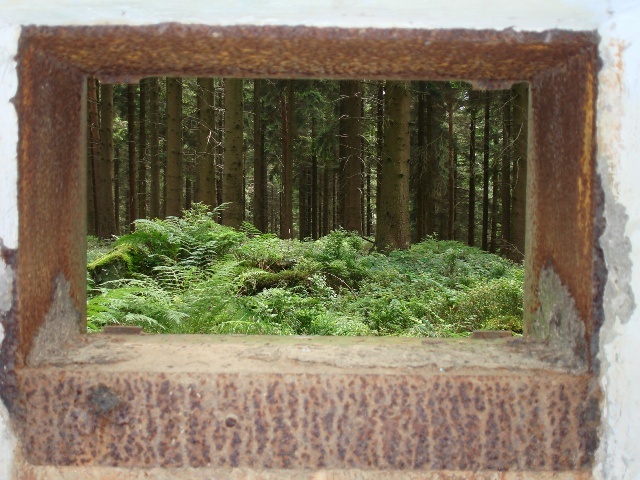 Some of the installations survived the systematic destruction. 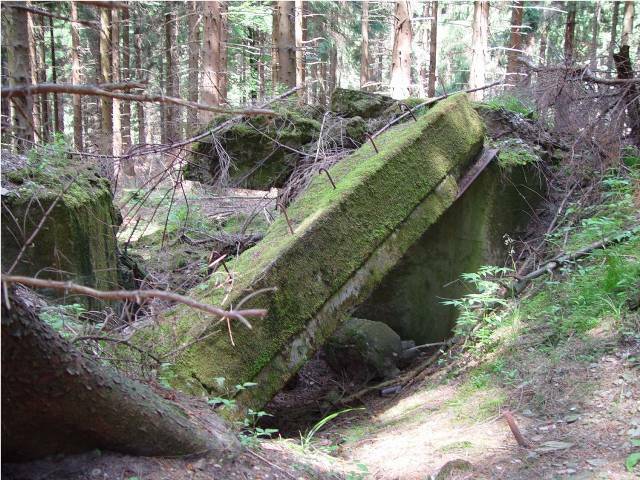 They are still visible today and are a must-see of the battlefield. Back to Battlefield then & now.